This custom architectural fiberglass design features a range of colors, shapes and textures. The beauty of architectural fiberglass is its versatility. 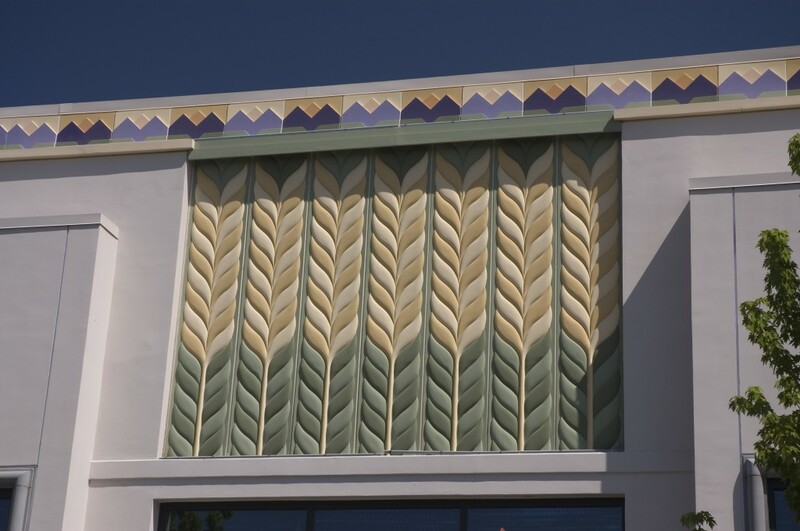 With architectural fiberglass Stromberg Architectural Products can create virtually anything for your specific building or restoration project. Beyond these, you are only limited by your imagination. The same thing goes with color: you name it and we can create it. This is one of the most basic elements of architectural design. We offer three primary colors that include Limestone White, Limestone Buff, and Smooth White. From there, we can make whatever you need whether that is to match an existing color for a restoration project or it is creating a brand new color that works for your building project. Our team can work from anything you have, such as a pantone color, paint chip, or even a fabric sample. From there, we can design a custom color for you. These include cast-in colors that can be cast in solid and mottled colors in sandblasted, acid wash, or smooth options. Because any color or texture can be created with architectural fiberglass, this opens up a world of opportunities in terms of the type of applications it can be used for in both residential and commercial markets. This includes homes and apartment buildings as well as restaurants, retail shops, hotels and resorts, casinos, schools, government buildings, museums, churches and cathedrals, military buildings, offices, hospitals and medical facilities and even themed commercial applications like amusement parks and sports centers. This includes the use of architectural fiberglass on new and existing buildings. The team at Stromberg Architectural Products consists of experts in their field. They have the knowledge, technical know-how, skill and experience to create any texture or color for your project. They use the latest technology to expertly match existing colors and textures so you can bring a building back to life plus they know how to work with your specifications and deliver on those expectations. The portfolio of existing successful projects illustrates what they are capable of producing for you. There are numerous stunning examples from around the world, including world-renowned architectural structures and brands that have turned to Stromberg Architectural Products for assistance with custom architectural fiberglass products, including colors, shapes, textures and finishes. The Stromberg Architectural Products team has created a wide array of architectural fiberglass attachments for thousands of projects and structures all over the world. Now it’s your turn to discover how architectural fiberglass attachments can work for you. Get your free custom quote by calling 903-454-0904 or filling out our online form.